An extensive handbook to add and fine tune Pricing Table for products and services at Weebly resource. Carrying out of the guidelines doesn’t need knowledge in web development and will take around a few minutes. 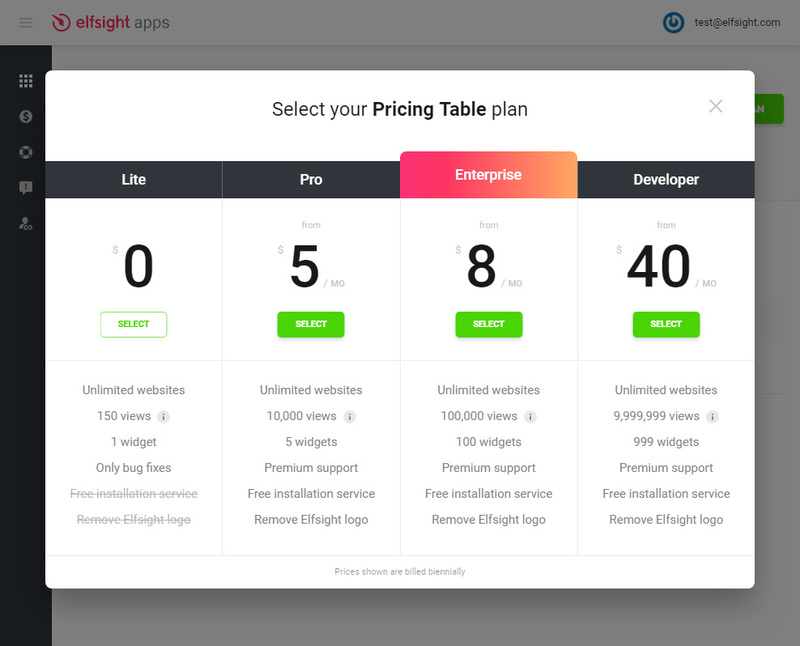 Define main points and conditions for the items or services to raise the number of news clients at once with unique Weebly Pricing Table by Elfsight. Employ developed layouts or choose each component individually, our widget will seamlessly integrate the face of any web resource. 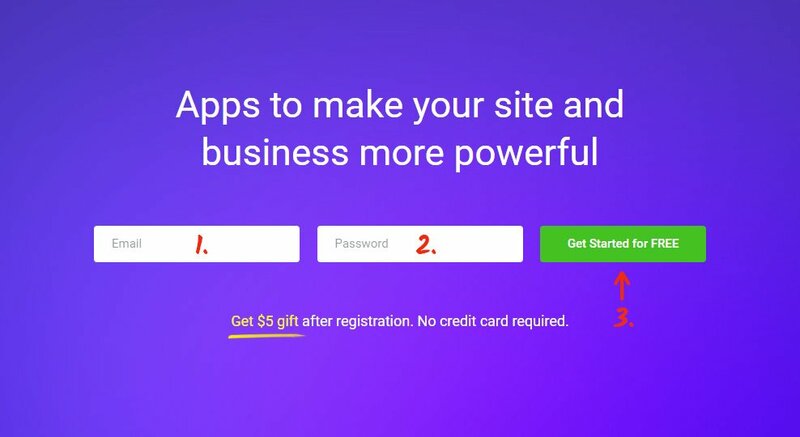 Do the specified further steps to get the plug-in for Weebly website. To get a plugin for your own webpage it is needed completely to execute the following steps. If during the process you will come across troubles, address the Support Center. Add active e-mail address email box and put a password. If you already have a working profile, you can simply sign in. In the catalogue find Instagram Social Review and press it to pass to a detailed page. Select your layout or buildе your widget thу way you like. More details of all properties can be studied on the widget page. Your needs choose preferred offer from the proposed. We have free variants, as well as chargeable subscription. 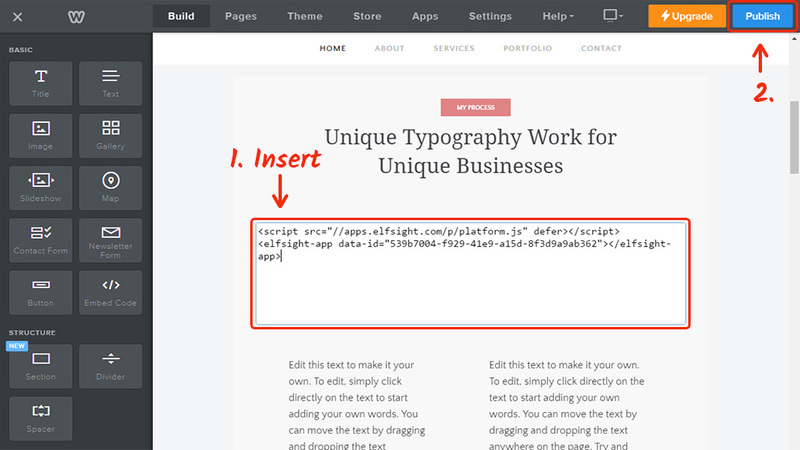 Finalize the first stage by copying the widget that you prefer to place on your own web page. Go to Weebly sites dashboard. 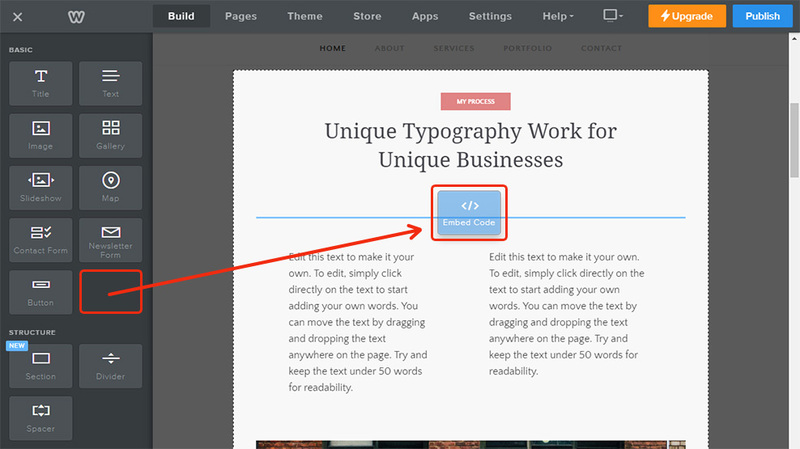 Select “Embed Code” from the left-hand menu and drag it to the required place on the page. 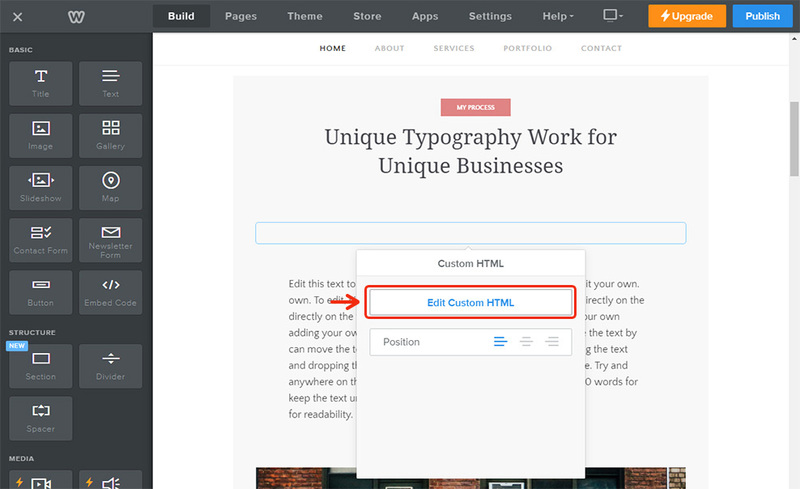 Click the element and select “Edit Custom HTML” in the popup window that comes up. Paste the code you recceived at Elfsight Apps to the required place in the element. Save the changes. 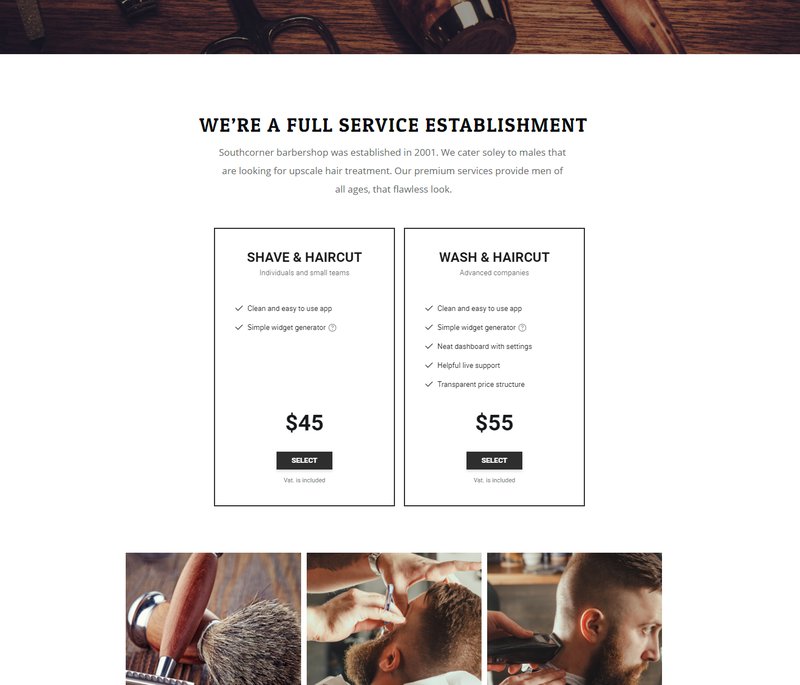 Pricing table on your Weebly website is now up and running! The installation has been successfully completed. How to edit the parameters of the plugin after implementation? After introducing the widget to the page, all parameters need to carry out on your account at Elfsight Apps. Set changes to the handy editor and save them, all adjustments will be introduced automatically and do not involve code corrections at your Weebly page. This site of a cloud type introduces possibilities to upgrade your own web resource with the help effective tools such as plugins and widgets. Show wide possibilities of your one website with the help of integration with social networks to get new users. Appreciate Weebly Pricing Table Free of charge! 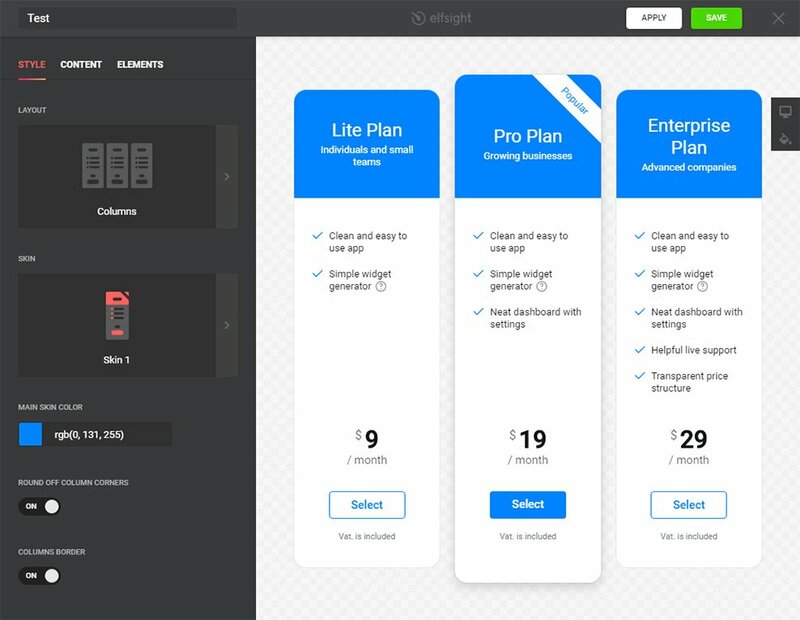 Test all the benefits of the pricing widget for websites right now.